AS A SOCIAL IMPACT CONSULTING FIRM we help companies, foundations and individuals make a difference. Our work gets to the heart of the matter. We break silos because it takes more than any one check or policy or letter to tackle big issues like economic security, human rights or climate sustainability. We prescribe a custom formula of advocacy, collaboration, investment, philanthropy, policy and new ways of doing business in order to help you make progress. The process begins with a simple question: What do you want to achieve? The answer becomes the North Star to turn that passion into a purpose. Articulating a mission and architecting a roadmap to reach that end is where Giving Strong comes in. We work with you to build real-world programs that make real social change. Our work is thoughtful, strategic and custom for each client. Christen Graham brought together her head and her heart when she founded Giving Strong – merging her business talents with her deep compassion for others. In previous tenures as a journalist, public relations professional and executive, she always incorporated social impact into her work. Christen does not break down social impact by asset class. She knows from experience that it takes more than any single category to solve big problems, whether that’s workplace diversity, sustainable supply chains, charitable giving or impact investing. Christen has worked with pioneers of the Corporate Social Responsibility movement, leading academic institutions, modern foundations and influential media. She has given voice to the underserved and built programs that foster opportunity. Christen serves on the board of Sexual Assault Response Services and is a Fresh Air Fund host. She holds dual degrees from Tufts University. Christen was interviewed for this article on how small businesses can develop and practice Corporate Social Responsibility. Don't let the title fool you - CSR is more than any single initiative. It's embedded in corporate culture. Read the full article here. 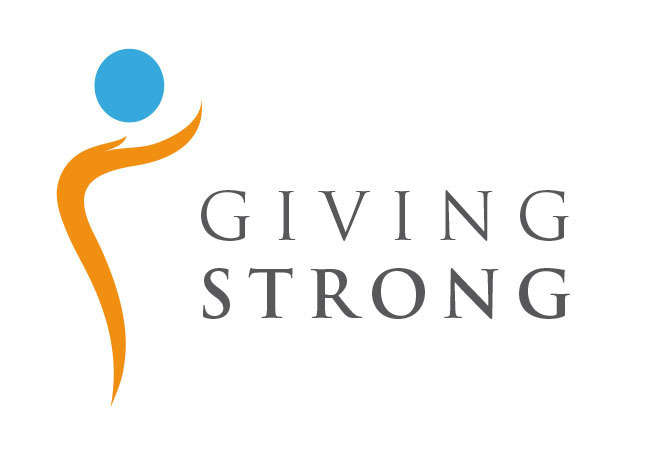 Call us at 207-619-3090 or send an email to info@givingstrong.com.